During a conversation with a friend, he shared with me his experience 30+ years ago in kindergarten. During the first week of school, my friend was taken out of his regular class and placed in a separate, segregated class for students with special needs. As an ESL (English as a Second Language) teacher and a parent of bilingual children, I was shocked. And yet, upon research, I found that the tendency to over-identify students who speak a language besides English as having learning disabilities is more common than we’d like to think. Misidentifying ELL students and placing them into the wrong class obviously can hinder our children from reaching their potential, but also diverts necessary resources from students with actual disabilities and needs. In my friend’s case: he was bored, didn’t understand his teacher or his classmates, and began misbehaving in class. The school spent a year labeling my friend as defiant and troubled, until finally a new teacher came in who recognized my friend’s strengths and worked with him to help improve his English. On the flip side, there are true English language learners (ELLs), who do have learning differences that might need attention — whose needs are not met solely in the regular classroom. School sometimes overlook ELL students either because of lack of funding for special education programs, fear of litigation from parents, or lack of knowledge about bilingual students (especially in districts without a lot of ELL students). 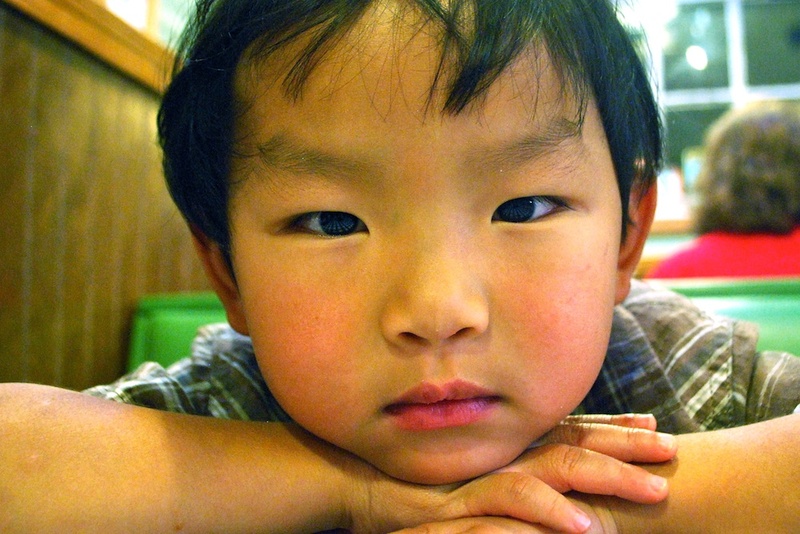 From the time we first adopted my son from China at age 3 1/2, he had some difficulties in speech. Different well-meaning teachers, doctors and therapists have mentioned that “maybe” we would want to hold off on speaking Spanish to him until he got English (we didn’t stop) later, in elementary school, others have blamed his difficulties in reading on his ELL status. Blaming his language background meant that some red flags — that would normally indicate reading issues — were overlooked. Despite my rumblings, my son was not tested for dyslexia or learning disabilities, and not accepted into a special reading program. I was told that his reading fluency (how quickly, accurately, automatically and expressively someone reads) was slow because he was still mastering English (and Spanish). Fortunately, I am an ESL teacher (though normally my students are older). As his mom, I saw his struggles and recognized that these were not the common difficulties that ELL and bilingual learners experience. With a mother’s love and instinct, and a teacher’s nagging doubt, I pushed and insisted that there was something else going on besides his language learning history. Today, I am happy to report that my son is getting the resources and support he needs from the reading specialist, after assessments have finally indicated that his struggles with reading are not because he is an ELL student. I have learned many lessons through my journey as both an ESL teacher and as a parent. The number one lesson for parents is to be your child’s number one advocate. You are reading with your children every night, you are helping them with their homework, and you observe if there are tears and impossible challenges in everyday work. If you feel in your gut that your child isn’t “getting” something that they should be able to master after practice — it is your right to request that he or she be tested and resources be made available (even if they are still in ELL classes!). Students from culturally and linguistically diverse backgrounds should receive the support and programs they need in order to be successful learners. At the same time, if you feel that your child has been misidentified as learning disabled because of his bilingual background, ask how their native language was taken into account during the assessments; ask for a second opinion from a district specialist with experience assessing ELLs; ask for six more months of focused English help before they are tested for a learning disability. Bilingual students who are still working on English and are mistakenly placed in special education programs will have more limited access to rigorous curricula, have lower expectations for academic potential, and will not be spending sufficient time learning English as needed to become fully bilingual. Disproportionate representation of ELL students in special needs categories is a huge problem and barrier to their success (whether because they are in special ed and shouldn’t be or because they are not getting the specialized services they need). While most schools are trying their best, it is our job as parents to advocate for the best possible learning experience for our kids. As a team, parents and teachers can work together to find the most effective program and environment for our bilingual children. Do you have an experience being mislabeled or being denied services for yourself or your child due to your linguistic background? How did you over come the challenge? What Does Real Health Mean to You? Great article, Becky! I’ve been dealing with a similar situation and usualy with multilingual children, everybody blames multilingualism rather than looking into the matter in a deeper way. Multilingual children often get misdianosed for this very reason! How good of you to notice your sons problems and act on them! Yes- we are SO glad that now we’re getting listened to. It was frustrating to sit in meetings and hear them say “it’s because he’s an ELL”- and I would interrupt and say “I have an MA in Teaching ESL and I have been teaching ESL for years. It really isn’t because he is in ESL!” What about the parents who don’t have a teaching background? What about parents who themselves are learning English or learning our school system? How can they be effective advocates? The lesson is that we have to trust our instincts, and we have to stick to them- and team up with teachers to work together, so all of our kids can have the best education possible. Almost everybody is blaming us that he is not progressing and that we should drop off Spanish, but It’s being a long journey and seems kind of sad doing that in this moment… What should we do? Sorry my poor English.. just I didn’t know if I could post in Spanish here. If you have any concerns over your child’s speech and language development, it may be worthwhile to get him evaluated by a bilingual speech-language pathologist (I am one). Try to find one that has a bilingual certification, meaning that they have studied bilingual speech-language development, not just that they are someone who speaks Spanish. However, whether your child has a delay or not, we do not recommend that parents stop speaking the other language to their child. Research has shown that even children with delays can become bilingual, and that taking away one of the languages that they speak can be a hindrance to them. Bilingualism does not cause speech-language delays! Please visit the American Speech-Language-Hearing Association at http://www.asha.org for more info and good luck! my son was also a very late speaker. He only started to say phrases by 3 years. And he was not really bilingual at the time, we moved in USA when he was 3 and 3 month. By 3 and a half 2 of his languages developed in a fast pace. He is 9 now, he reads a lot and very good at math. He is not super talkative, but he definitely does not have any problems with speech. So maybe your son is just late talker and bilingualism is not a blame here! Olena´s last post ..How Much Does Raising a Bilingual Child Cost? Forget the bilingual speech- language patohlogist !!! he is only 2 1/2 for god sake. We are trilingual in the family. We live in the border of two countries and we also have another language. Public schooll is bilingual, and in the street we speak Spanish. We probably need more time than others to START having more vocabulary , we may have another rithm…but please !!!!!! My daughter is 15 years old, and speaks 5 languages. Not because I forced her to do so, just because of our geographical situation!. We are architects, doctors, teacher, car mecanic, stay at home dad , unemployed as everyone else etc. etc. etc. Katherine: Not all children are delayed in language learning, but of course some are. I will give you some hope:)- at my daughter’s 2 year old dr appt (at the time the was an only child) the doctor asked me if she was speaking in 2 word sentences. 2 word sentences!? She only knew about 5-6 words total!? But since she was my oldest, I thought it was normal (until the moment w/ the dr). I knew she understood both Spanish and English because she would point to pictures in books or bring me objects I would ask for (you can try that with your son to verify his comprehension in both languages). The doctor completely worried me, but about a month after she turned 2 her vocabulary blossomed. It was as if something clicked and she understood how to communicate verbally finally:). Now she is 8 and DOES NOT STOP talking! :) She is a very good reader, and can read and write in Spanish (though not as well as she does in English). Keep at it, and do not give up one of the languages!!! Parents who are teaching two languages to little ones in the home and are concerned about limited vocabulary in one language or the other need to take in to consideration the language that the child self selects. Often times children self select a language to speak in, they have internal reasons for the selection typically driven by social or emotional factors. Parents need to enforce their expectation of the language for speaking. It simplifies matters for the child if language can be clearly tagged to a person or activity, for example when we speak to daddy we only answer him in Chinese, but we always answer mom in English. If parents don’t enforce their expectations then children may code-switch or self select language. Code-switching or self selecting will increase the time it takes for a student to master the structure of any given language. Developing language targets four domains: listening, speaking, reading and writing. Proficiency levels can/will be different in every domain. While it may seem as if students have limited vocabulary in one language or another it could be that they have an extensive listening vocabulary, but have a smaller speaking vocabulary, because they are at different linguistic proficiency levels in those domains. Everyone learns language through the four domains. When a student is monolingual they are processing the one language through the four domains, but have levels of proficiency in each linguistic domain. The successes in each domain are influenced by the child’s individual learning style, intellectual ability and personality. It may at times seem as if a student learning several languages has a speech delay, but more than likely the reasons behind the delay have nothing to do with the language input, but instead is a result of multiple other factors. There is never a good reason for stopping multiple language instruction. As educators or parents we cannot truly know how much a child with disabilities internalizes the language(s). Shame on the educator that tells you not to embrace the learning of multiple languages. Language is history, culture, emotion a link to who we were and are as a people- don’t let anyone take that away from your child. Ok so I am thinking about removing my site from Tumbler and get it to a WordPress site. I believe this is a wordpress website right? If it is, may I ask where you got the theme? Thanks a bunch! I’m sorry I should have said what theatre or Hall will Tommy be performing at.